If you're after some salsa with a bit of a twist, then look no further. 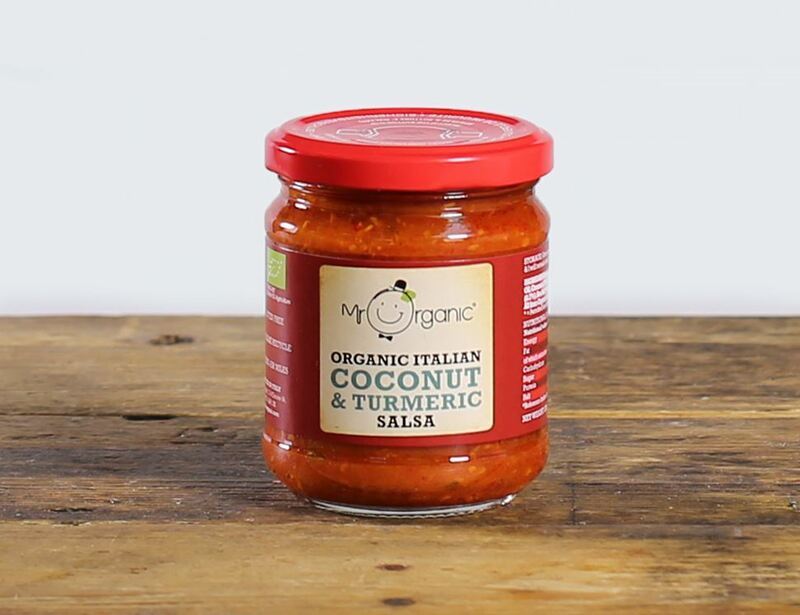 This jar of heat is an interesting blend of organic sweet tomatoes, coconut and turmeric, giving it a distinctly exotic character. Use it for some tortilla chip dipping, or add it to your favourite dishes to give them that extra kick. This coconut and turmeric hot salsa is produced by Valerio, Kostas and Carlo - three friends with passionate belief that well-being starts with good honest food. Kostas says ‘That's why we are always mindful of our ingredients and work closely with our farmers and producers to provide sustainable, wholesome and delicious organic food that makes people healthy and happy!’. From store cupboard staples to speciality goods, Mr Organic is making it simple to choose a better, more wholesome way of living.